Memories on the Mesa is a non-profit sanctuary - our mission is to provide a forever home for sick and rescued desert animals. Created as a 501c3 non-profit in 2017, Memories on the Mesa is dedicated to bringing sick, neglected desert animals back to health. Each animal has an automatic forever home here - where they can safely roam within large enclosures closely resembling their natural desert habitat. ​This first year has been spent raising funds specifically to build fences and structures for tortoises. 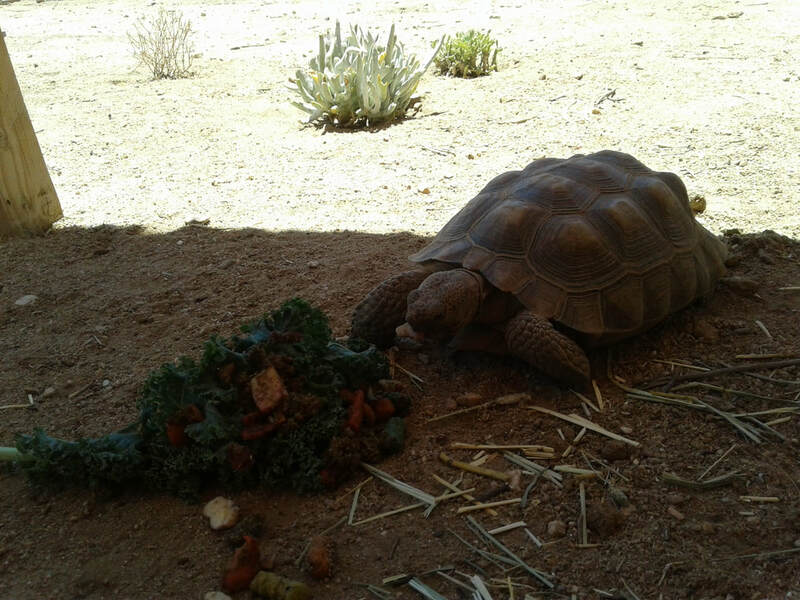 Did you know that desert tortoises spend most of their lives in underground burrows, hibernating from November - February, and can live to be 80 - and even older than 100? And their lineage can be traced back to the time of the dinosaurs! They are currently considered a threatened species, mostly due to habitat destruction and disease. Happily, we have begun caring for several of these unique and special desert animals. Several fundraisers and grants are in the works which will allow us to start building barns and covers to house burros. We are very excited to implement this important second phase of our dream and are looking forward to providing the appropriate care and protection these gentle animals need and deserve. Tortoises: Working closely with an experienced veterinarian, we are caring for and treating tortoises brought to us with serious infections. Most are infected with upper respiratory disease and/or pneumonia. We also treat the stress and dehydration that usually accompanies these medical conditions. ​Part of our daily routine in caring for our tortoises includes 10 minute lukewarm baths, nose and mouth cleansings, eye and nose drops, oral liquid medication, and in severe cases, injections. When necessary, we even use baby nebulizers on our tortoises to help them breath. We also provide personalized diets (hay and pellets, home-grown vegetables and fruits, as well as vitamin supplements), which insures that each and every tortoise has the best chance possible to survive. In some cases, hand feeding several times a day has been necessary. If a tortoise is too weak, we will puree food and give it to them in small liquid doses until they are strong enough to eat on their own. It may take many months and several visits to the veterinarian before a tortoise's condition improves. Unfortunately, they will always carry the virus in their system, and so cannot be 'put back' with other tortoises or released into the wild. Elvira, 17 years old - one of our success stories! Elvira eating in the shade. Jacob, 40 years old - coming out of his burrow.